New beginnings are a beautiful part of spring and a wonderful reminder of God’s grace. 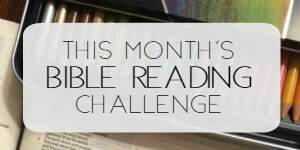 As the celebration of Easter approaches, I’m always looking for great ways to explain Jesus’ death, burial and resurrection in a simple manner for my children. 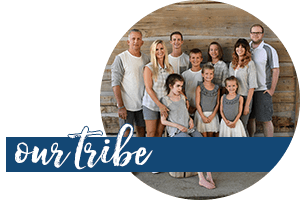 I know we have a few weeks at this point, but that allows for plenty of time to plan ahead to share this sweet story and treat. 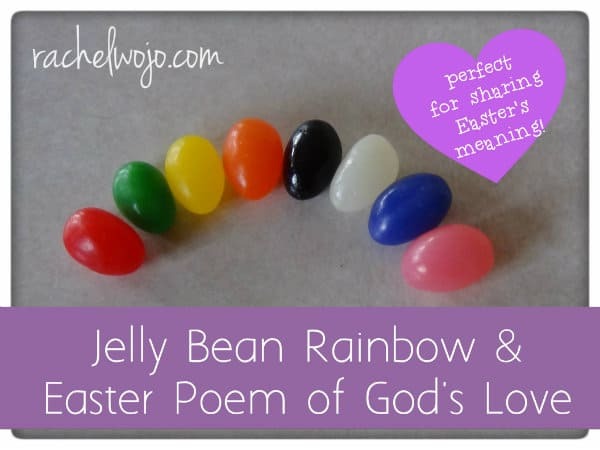 So separate your jelly beans into colors and package up a little treat for your Sunday School class, children’s small group, or your own family’s Easter baskets. 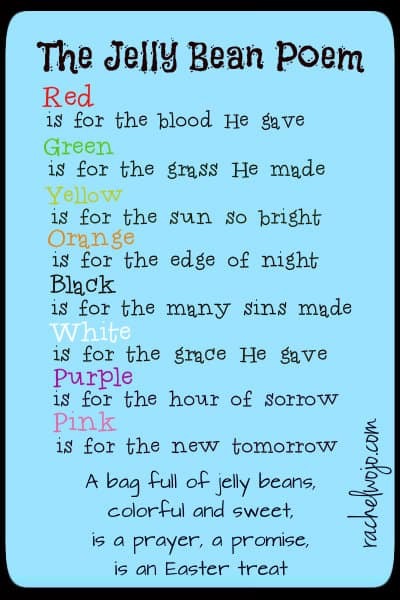 Tuck in the poem and you’ll have a great reminder of God’s forgiveness and love at this fun time of year! 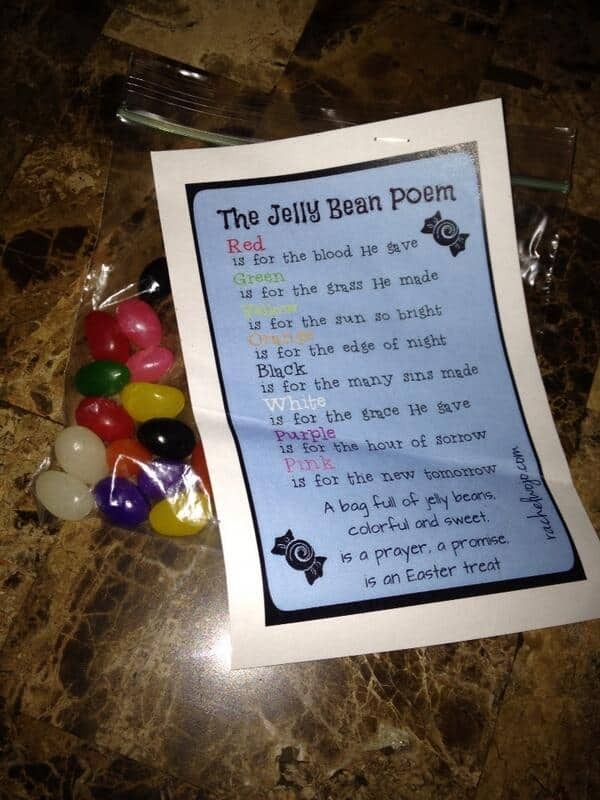 And here is the jelly bean poem printable! Click HERE or on the graphic below to open a pdf of 4 poems to print on 1 8.5×11 sheet of cardstock or paper. Looking forward to spring! How about you? What’s your favorite part of spring? Perfect and fun! I’m going to use it, Rachel, for my Sunday School class. Thank you! So simple and so effective! I will definitely use this for my own kids and Sunday School class. Thank you . 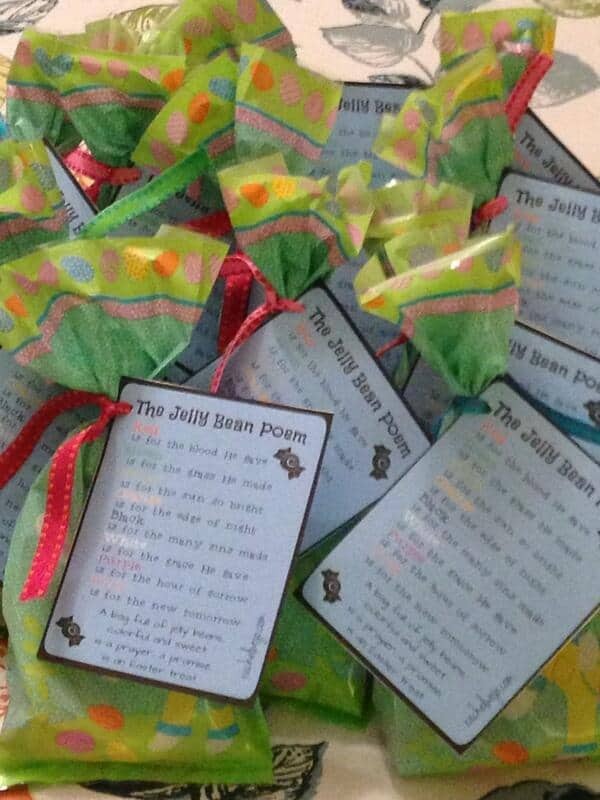 I was looking at this post and I realized – hey, that picture with the bags and poem is mine! It was such a blessing to secretly share this with the residents where my parents live! I have not done anything in awhile but considering my circumstances I’m sure you know why. 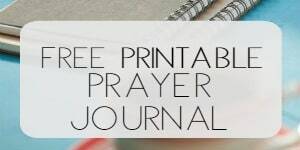 Your printables have blessed many not only last Easter but I have shared the verses at other times of the year. Keep sharing! I love it! What a beautiful illustration and way to remember the most important Message of all!